Can Be Designed To Any Vertical Length Up To 20 Ft.
Super Vac’s “L” Ducts is a simple, yet effective solution for confined space ventilation. 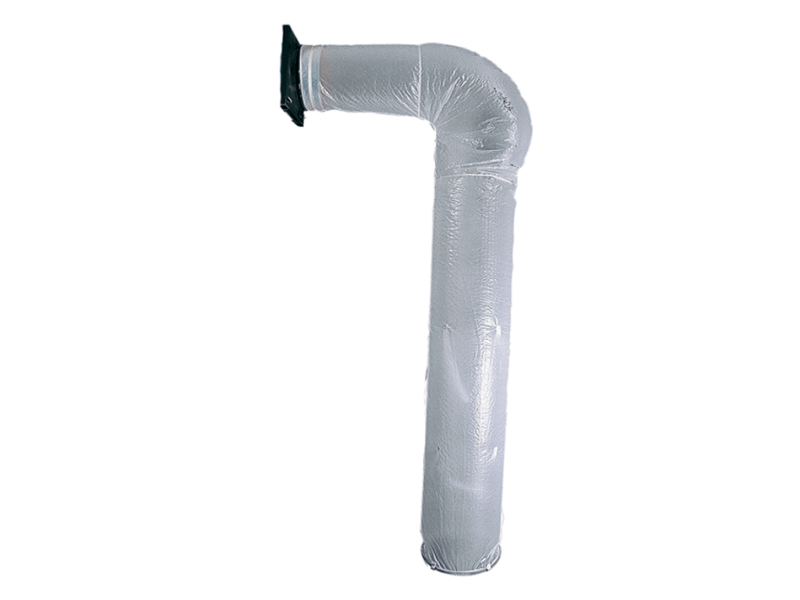 This durable duct features an “L” shaped design, perfect for ventilating deep into manholes and other tight areas. Designed to be portable, the duct is held open by air pressure from the fan when in use, yet lays flat and folds easily when detached from the fan for easy transportation. Workers and equipment can easily pass through cramped spaces with the fan running by simply collapsing part of the duct. The duct will take back its shape automatically (saving time) after the worker passes through. Super Vac’s “L” Duct is one piece, saving space on trucks and can quickly and easily attach to a negative pressure fan in seconds upon arrival.